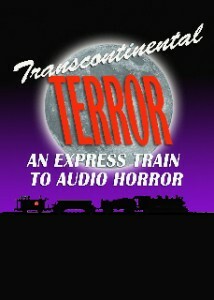 Part 2 of 6 of the Transcontinental Terror live streaming Halloween Horror Event. Electric Vicuña was established in 2009 to meet the growing demand for high profile radio drama, audio cinema, voice acting, and books on tape. EV is the parent organization that provides the very best in modern audio drama from the weekly radio broadcast and popular podcast The Sonic Society. Beginning with a strong base in the three pillars of creative and accessible content, high-quality recordings, sound effects and music, and an emphasis on solid business practices, Electric Vicuña Productions looks to partner with radio stations, podcasts, and audio companies to bring to market the very best of audio stories. With many projects in development and mature broadcast partners built upon the experience of the founders, and years in the podcasting/broadcasting world through its early incarnations as Sonic Cinema and the Sonic Society, Electric Vicuña has become a hub to showcase quality, original audio and spoken word content.